Two new five-star hotels are to be built in over 100 acres of land on Rhodes, adding 720 luxury beds to the island’s tourist market. According to a Kathimerini newspaper report, the first hotel investment will be realized by the company AMARTOS ECOLOGICAL SA in a plot of ​​48.16 acres in the area of ​​Amarotos Critinias. The hotel will have a capacity of 135 rooms with 296 beds and will be composed of two main buildings, a main building and nine wings of the rooms. The hotel will have a spa, shops, a restaurant, a conference center and meeting rooms. Sport and recreation facilities will be built in the surrounding area, including tennis courts, children’s playground and promenade routes. It will be located 40 km from the City of Rhodes. The second hotel investment will be realized by XTEE AMMOS SA in an area of ​​over 53 acres in ​​Pefki of the Lindos area. The hotel will have a capacity of 187 rooms with 424 beds, with a main building and four independent wings with two-storey buildings. The buildings will be connected through the pool area and paved paths. Additionally, recreational areas, such as tennis courts, will be built around the hotel. The hotel will be located 55 km from the city. 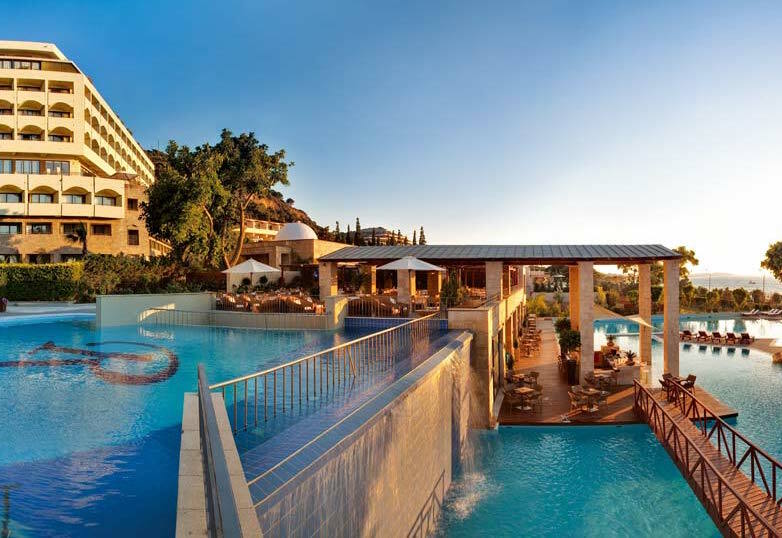 Based on data from the Greek Chamber of Hotels until 2016, there were 39 five-star hotels on Rhodes with a capacity of 9,895 rooms and 20,450 beds.